Our Tuscany Bike Tours are the perfect option for visitors seeking a fun and exciting tour in the beautiful Tuscan countryside. Every morning at 10am tour groups depart from our shop in Via Ghibellina 133r and arrive in just twenty minutes by van to the Chianti Castle “Castiglionchio”, a magical place hosting medieval dinners. 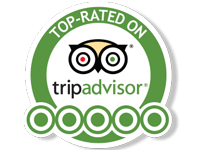 The tour begins with a bike ride through the picturesque winding roads of the Tuscan countryside (see photos) followed by a delicious traditional Tuscan lunch and a guided Chianti wine tasting. Finally, after a relaxing day of biking you can unwind even further by the swimming pool before arriving back in Florence at 5.00pm. 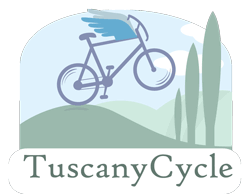 One self-guided tour is included with each bike rental from Tuscany Cycle. Our self-guided tours ensure that you don’t miss any of the city’s highlights, while allowing you to explore at your own pace. Moving in Florence on two wheels is the better way to visit the city center of Florence! Enjoying the ancient town with city bike Florence is wonderful! The best bikes to discover Florence and the breathtaking hills surrounding the city!